Cincinnati, I’m coming home and want to create with you! I am so excited to offer the following workshops at Evendale Cultural Arts Center while I am in town for a book talk/signing at Joseph Beth on August 13th at 7pm (be there!) and to visit family and friends. 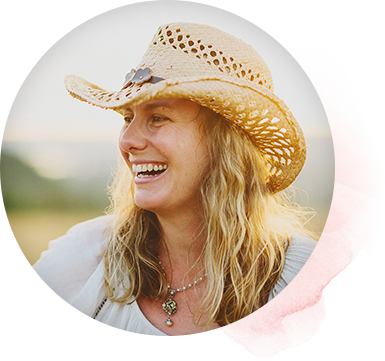 Join me for a day of nurturing yourself as we practice gentle yoga, create mixed media art, decorate ourselves with henna (optional) and more. Bring your own art supplies (list will be provided). Space is limited. Sign up here in my Etsy Shop. Join me for a relaxed studio session to paint as you watch me paint if you wish to see my process. 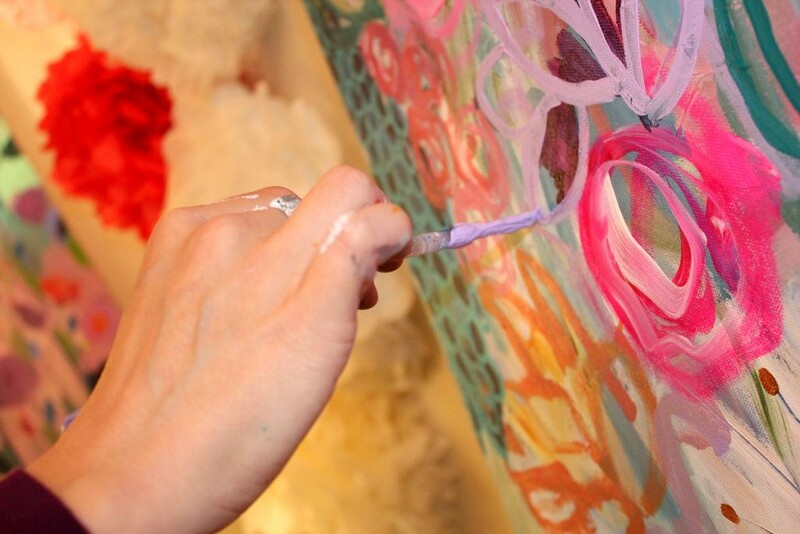 This is not formal instructional time, rather a chance to paint freely in a creatively-energized environment. We can socialize, listen to good tunes and create stunning art. Bring your own art supplies, snacks and beverages! 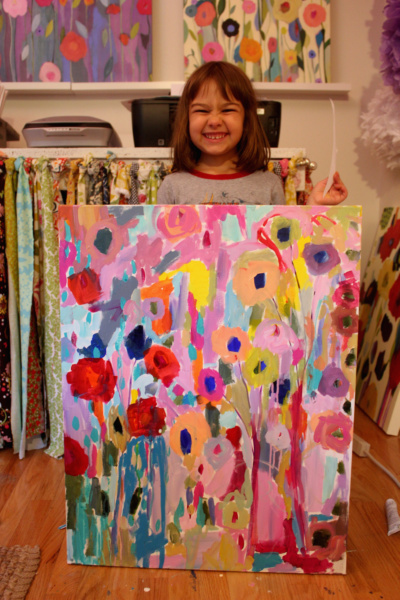 Saturday, August 22nd from 10am-noon: Adult & Child Loving Creations! 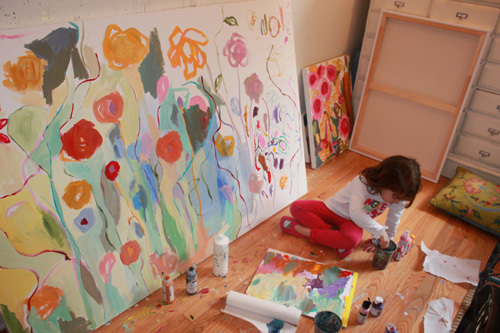 Create two or more masterpieces with your child thru adventurous collaboration. 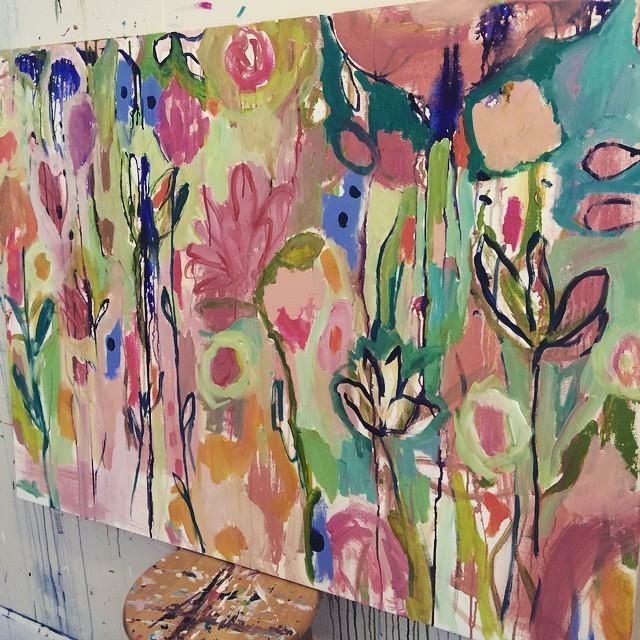 I will guide you thru the process that allows for free expression and demonstrate how you can create a floral painting together. $40 per pair (plus $10 additional for each extra child). Dance parties and snacks included. Join me for a relaxed studio session to paint as you watch me paint if you wish to see my process. This is not formal instructional time, rather a chance to paint freely in a creatively-energized and welcoming environment. We can socialize, listen to good tunes and create stunning art.